Back for a second year after a sell-out inaugural event in 2018, this 10k run is Chester’s only city-based 10k. This is the perfect route for any first time 10k runner or equally if you’re aiming for a new PB. You’ll cross the finish line outside the historic Victorian Town Hall and Medieval Cathedral! 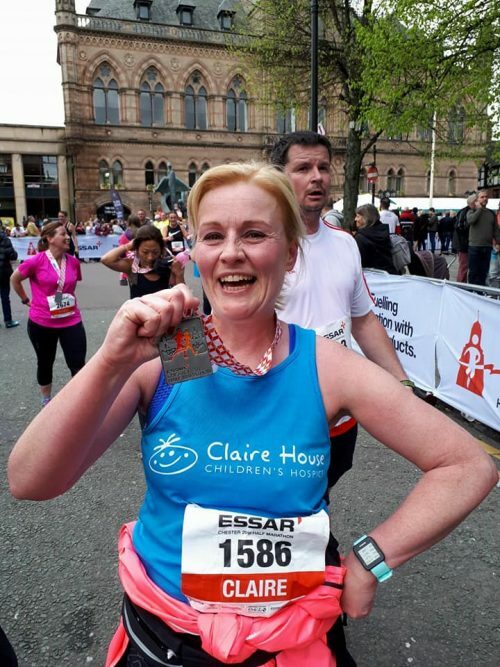 This event is now sold out, but if you have already secured your own place in the event and would like to run for Claire House just let us know below so we can send you a free fundraising pack and running vest – there’s no minimum sponsorship target, you can just try and raise as much as you can!